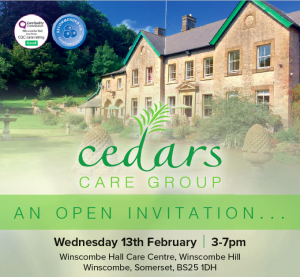 Somerset care home, Winscombe Hall is to host an open day on February 13th, following the refurbishment of The Halls. A stunning Victorian country mansion nestled in the Mendip hills, Winscombe Hall Care Centre takes the prize for Cedar’s Care Group’s most architecturally remarkable care home. But Winscombe Hall isn’t just a beautifully preserved period gem. Here we’ve combined a stimulating environment, conducive to improving quality of life with a property that retains its rural character and former grandeur. Winscombe Hall has 26 bedrooms boasting stylish décor and high standard furnishings. The property is split into two main parts: Stable Cottage, which houses our specialist dementia wing; and The Halls, which have recently undergone boutique refurbishment that demands to be seen. The invitation is open to all from our local community, both business and residential. Join us on February 13th from 3-7pm, to find out more about our ethos in providing person-centred care that promotes individual choice in a home away from home environment. A stones throw from Cheddar and the Somerset Levels, Winscombe Hall was designed by architects William Railton (Nelson’s Column in London; Cardiff Castle) and William Burgess, the grade II listed building was built for the Reverent John Yatman and his family, with the main house being completed in 1855. It remained a family home for over 150 years until it was converted into a care home some 15 years prior. Find out more about Click Here to find out more about Winscombe Hall Care Centre. 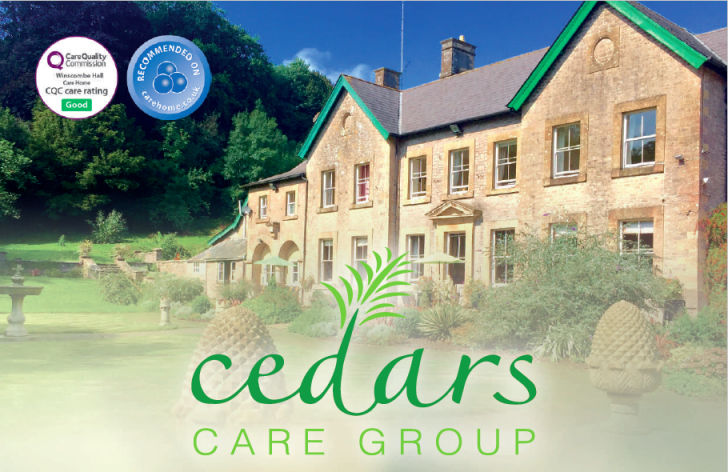 Winscomb Hall is one of two Cedars Care Group care homes based in North Somerset. The other is Ellenborough Nursing and Residential Home, at Weston-Super-Mare.